One of your best customers just tweeted about a problem with your product and you want to respond to them ASAP. It would be great if you could automatically catch this type of communications and automagically respond with either the right documentation or escalate this to your support team. But the thought of writing an application to handle this event, with all that entails - allocating VMs, assigning staff to manage either the IaaS instances or the cloud service, not to mention the cost of development, (which might include software licenses) all that seems like a lot just to recognize and handle a tweet. 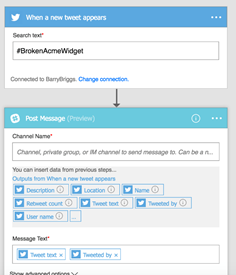 What if you could catch the tweet, direct it to the right person and respond to the customer quickly with no code and no infrastructure hassles: no systems-level programming, no server configuration step, not even code required – just the workflow. Just the business process. It’s possible in the new era of cloud computing. 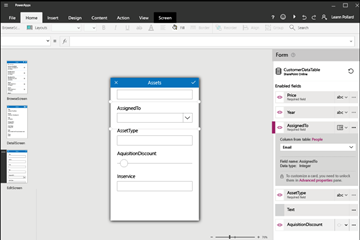 With newly introduced capabilities in the Microsoft Cloud – Microsoft Flow, Microsoft PowerApps, and Azure Functions, you can design your workflow in a visual designer and just deploy it. Now in preview, these new cloud offerings foreshadow the future of cloud applications. Take a look to the left. There’s the Microsoft Flow designer being set up to tell your Slack channel any time somebody complains about your product. That’s it. One click and voila: your workflow is running! But perhaps your smart support representative contacts the unhappy customer – who it turns out has a valid issue. Your rep takes down the relevant information and starts a new workflow to have the issue looked at. Need a server for that? No! 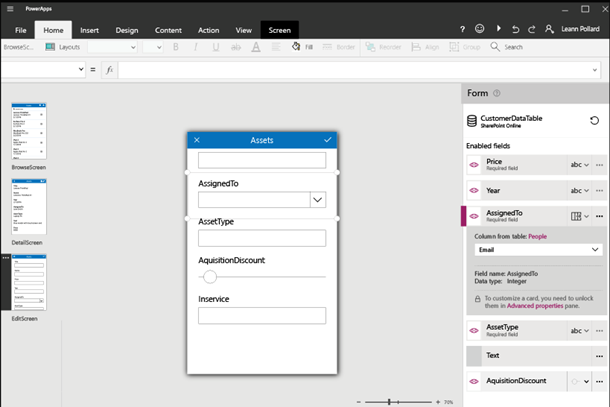 With Microsoft Power Apps, you can visually design a form for your rep: and it can kick off a Flow. Want that app mobile-enabled on any smartphone? No problem, as you see below. And as it shows you use the Common Data Model available in PowerApps enabling a lingua franca between applications. 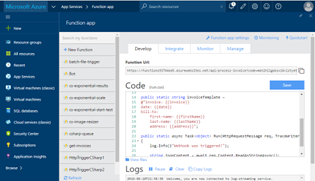 So why do I say Microsoft Flow, PowerApps and Functions presage a new model of cloud applications? Because increasingly, cloud apps are evolving toward a lego-block model of “serverless” computing: where you create and pay only for your business logic, where chunks of processing logic are connected together to create an entire business application. Infrastructure? Of course it’s there (“serverless” may not be the best term), but it’s under the covers: Azure manages the servers, configures them, updates them and ensures their availability. Your concern is what it should be: your business logic. This is potentially a seismic shift in how we think about enterprise computing. Think about it: with PowerApps your business users can quickly create apps, and with Microsoft Flow, create business processes with a few clicks. With Flow’s bigger cousin, Azure Logic Apps, you can quickly connect to any industry-standard enterprise data source such as your local ERP system, a data warehouse, support tools and many others via open protocols and interfaces such as EDIFACT/X.12, AS2, or XML. And you can easily connect to a wide variety of social media and internet assets, like Twitter, Dropbox, Slack, Facebook and many others. 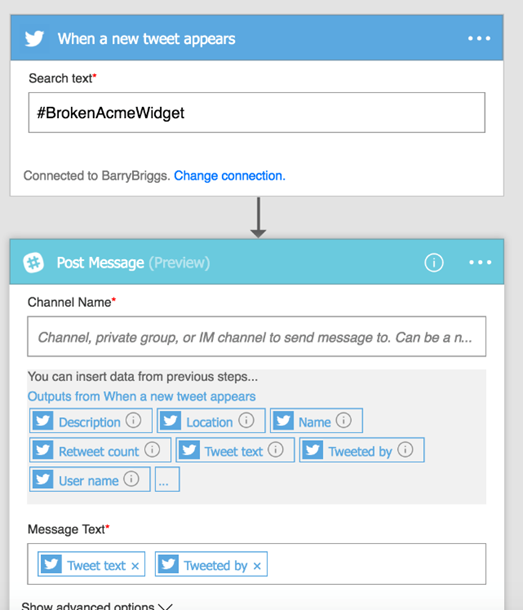 With Functions you can catch events generated by Logic Apps and make decisions in real time. And you haven’t deployed a single server. What code you’ve written is business logic only; not administration scripts or other code with no business value. Your developers have focused on growing your business. And, most importantly, you’ve created a rich, intelligent end-to-end application –by simply attaching together existing blocks of logic. Like Lego blocks. 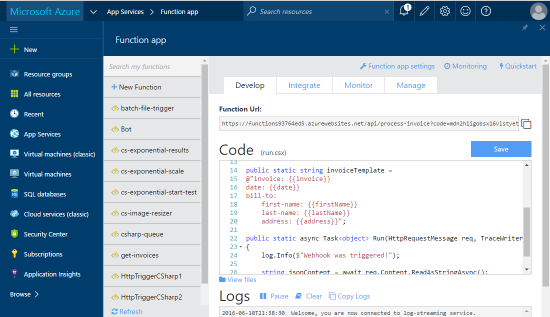 Other cloud platforms offer serverless options, but none as deep and as varied as Microsoft’s, empowering everyone in your organization, from business analyst to developer, with tools appropriate to their skills. For enterprises, the implications could not be more profound. Maybe it’s appropriate, on this fiftieth anniversary of Star Trek, that with tools on the Microsoft Cloud, you can run your business at warp speed using Azure.